It's easy to summarize Donald Trump's position on Social Security. He doesn't want to touch it. But his new running mate, Indiana Governor Mike Pence, has a very different view. He wants to radically reform the program. 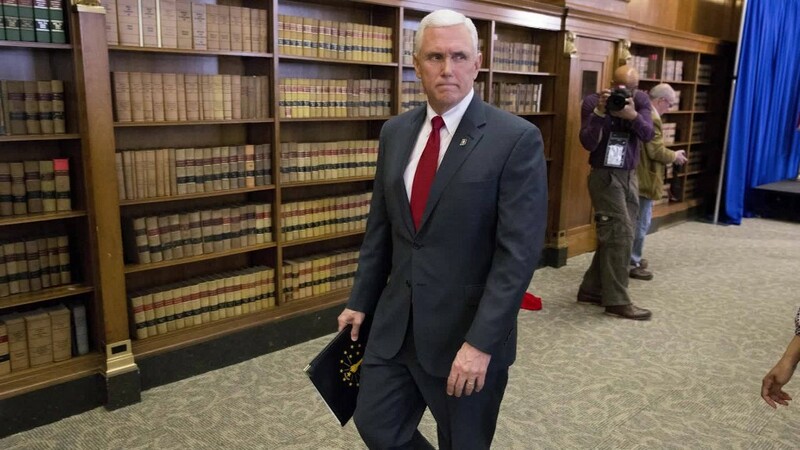 Pence spent 12 years in Congress as a leading fiscal conservative. During his tenure he backed various efforts to reform Social Security in a bid to make the program solvent for the long term and to reduce government spending. Among those efforts was President Bush's 2005 reform proposal. Among other things, Bush's plan would have let workers divert some of their payroll taxes into private investment accounts. It also would have reduced the growth rate in benefits for future high-income retirees. Pence and other conservatives had previously proposed a similar but more aggressive reform plan than Bush's -- one that would have phased in faster and let workers put more of their payroll taxes into private accounts. Critics of such plans note that diverting payroll taxes into private accounts would not help shore up the long-term funding of Social Security. And Democrats especially would prefer higher taxes on high-income workers to be a central part of any reform plan. In 2010, when asked whether he'd support making cuts to Social Security, Pence told CNN, "I think everything has to be on the table." When asked if he'd raise the retirement age, he said, "I'm an all-of-the-above guy. We need look at everything on the menu." At the time, he said any reforms should just affect Americans under the age of 40, so as not to violate promises to seniors and those nearing retirement. His new boss couldn't disagree more on the issue, at least judging from what he's said publicly. During a call-in to radio station WROK this spring, Trump made clear he wants nothing to do with Republicans' desire to reform the program. He cited in particular House Speaker Paul Ryan. "Well Paul ... nice guy but I disagree with him on this ... Paul wants to knock out Social Security, knock it down, way down ... No. 1 you're going to lose the election if you do that. ... But more importantly ... I want to keep SS intact ... I'm not going to cut it, and I'm not going to raise ages, and I'm not going to do all of the things that they want to do. But they want to really cut it, and they want to cut it very substantially, the Republicans, and I'm not going to do that." As for how he'd address the program's long-term shortfalls, he plans to rely on economic growth to do all the heavy lifting. At least that's what he told the AARP and has said in many other forums during his campaign.